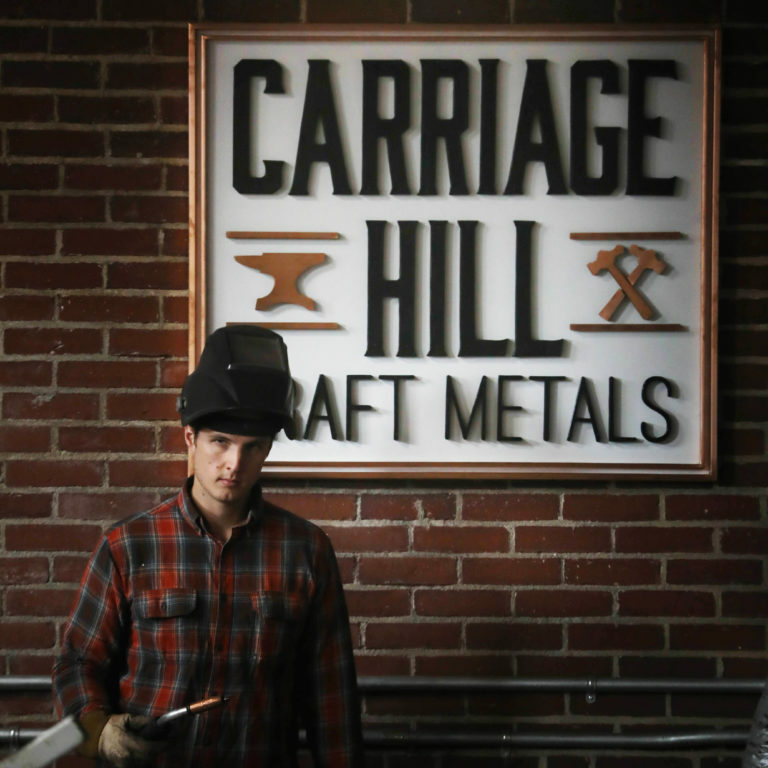 Carriage Hill Craft Metals LLC. was founded by Chris Breen in 2018. Chris graduated from Whittier Regional Vocational Tech in 2008 for metal fabrication and immediately went to work for the next 10 years perfecting his skills in his field. A born entrepreneur, he was ready for his next challenge in life and decided it was time to do things his own way, incorporating his knowledge and creativity to open up a custom metal fabrication shop. As a Rowley native, Chris found Amesbury to be the ideal location to start his own company, keeping it local in an ever-growing, historical town.